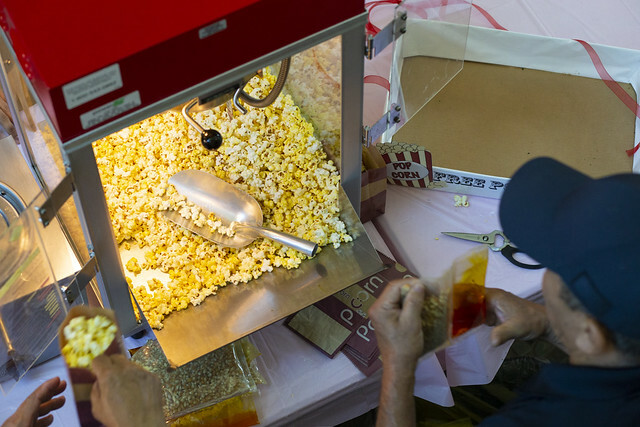 Pops of fun as Internal Giving Campaign celebrates another annual goal EXCEEDED! 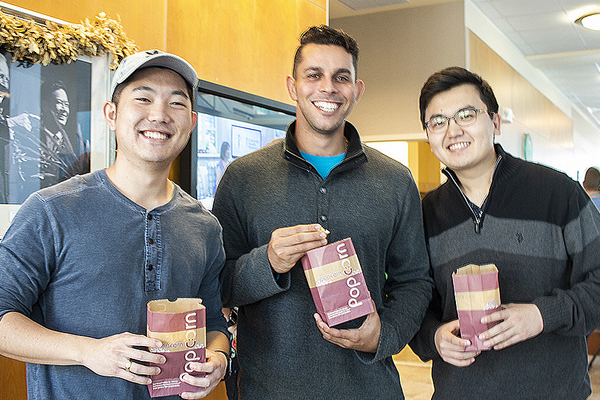 Pictured: Three MD students with smiles and bags of warm popcorn. Deborah Manog Dimaya photo. Hooray for our faculty and staff who gave once again to support the missions of the University of Hawaiʻi John A. Burns School of Medicine. The Internal Giving Campaign is an annual way that our employees give back some of their own earnings to show that we believe strongly in supporting medical education for Hawaiʻi. This year, gifts and pledges from within the school totaled $732,767 and the giving campaign engaged 342 different donors. Enjoy our Wiki Video by Tina Shelton to see the fun!